DUI Less Safe in GA – Should I Take the Georgia Implied Consent Law Test? Once cuffs are attached to a person’s wrists, a DUI investigation becomes VERY REAL. Up until then, the detained citizen is thinking that he or she MAY be released. That is because they know nothing about DUI Less Safe in GA and Georgia DUI laws in today’s police world. No businesses, colleges or high schools train people to know and exercise their legal rights. Once the cuffs are applied, you are under arrest for DUI less safe, and this “impaired driving” case can be for alcohol, drugs, or both, depending on the evidence. After being arrested for DUI alcohol less safe, refusing to take the Georgia implied consent law test of your breath, as requested by the officer, can suspend your Georgia drivers license for a FULL YEAR. This implied consent violation leads to being cited for being an implied consent “DUI refusal” under the GA implied consent law, which triggers an administrative license suspension that can BLOCK ALL DRIVING for a full year. Plus, by refusing the Georgia implied consent law test (usually a breath alcohol test), you cannot demand and receive your own independent test of your blood. A new ignition interlock device option exists for most Georgia drivers facing drunk driving charges, but this is far from having normal driving privileges. This law first took effect on July 1, 2017 and after. So, by not knowing and exercising your legal right, very harsh consequences to a person’s driving privileges can occur. Missing the 30-day filing deadline, for either taking an appeal of the Georgia DDS suspension action, or opting for the 12 month IIDLP (ignition interlock device limited permit), you may be totally without the right to drive for a year. Even if you do not take ANY roadside tests, and refused the GA implied consent breathalyzer, you will still be charged with DUI less safe, on such things as smelling like alcohol, having red, bloodshot eyes, having difficulty puling your driver’s license out of a wallet or purse and some minor traffic violation, like failure to maintain lane. Police in GA can AND will charge you with DUI alcohol less safe EVEN if you refuse to be tested on an Intoxilyzer 9000 alcohol breath tester after you are arrested for driving under the influence of alcohol. So, while the prosecutor in your case will not have breathalyzer test for alcohol level or blood alcohol test results that are over “over the legal limit” to support a possible criminal charge of DUI alcohol per se, you can be convicted of driving while intoxicated or DUI. This is when you need a DUI lawyer in Georgia who is the best Atlanta DUI Lawyer in the business, call Bubba Head. In this 2010 appeal of a DUI less safe Georgia conviction, the court of appeals cites many nebulous and conclusory points that do NOT mean a person is DUI. Example: speeding. 90% of all drivers on our Georgia Interstate Highways and Ga Highway 400 are speeding. Are 90% of all drivers drunk? NO. Speeding is NOT proof of drunk driving! Who is the Georgia DUI lawyer who wrote the book on Georgia DUI laws to educate other lawyers on how to beat a DUI Georgia conviction? Call Atlanta DUI lawyer Bubba Head or his law partners and get more helpful FREE information than from ANY other law firm. Which DUI lawyer in Atlanta can tell me how to get out of a DUI in court? 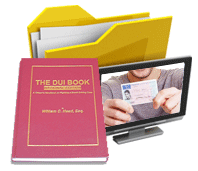 Read further to learn how to beat a DUI involving alcohol – if you know your legal rights. Although Georgia DUI laws are among the harshest in America for loss of license for an implied consent “refusal” to be tested (one-year loss of ALL driving privileges), your DUI lawyer has a better chance of winning your DUI case at trial, when no “over the limit” DUI alcohol charge is part of the case. 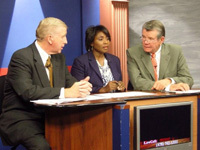 William C. “Bubba” Head, Board Certified in DUI defense (one of only 4 attorneys in the State of Georgia) – A veteran DUI attorney with 41 years of aggressive criminal defense experience, and over 200 appellate cases to his credit, has been a nationally-known DUI book author for the last 25 years. 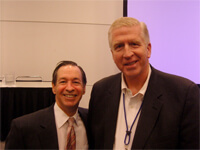 As mentioned above, Mr. Head also originally wrote, and still is co-author of the #1 legal treatise on Georgia DUI law for over 20 years. 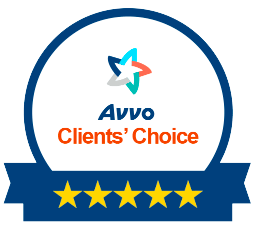 As far as lawyer reviews, William C. Head has held the highest ethical rating, and highest practice competence rating (5.0 of 5.0) from America’s oldest attorney reviews service, Martindale-Hubbell for over two decades. This company has been publishing lawyer reviews for almost 150 years. Call Atlanta DUI lawyer Bubba Head or one of his top-rated law partners today at 404-567-5515 or 1-888-384-4323 (1-888-DUI-HEAD) and put 41 years of successful DUI defense on your side. Mr. Head is a 24-hour lawyer for your Atlanta case. His criminal defense law office provides you with a FREE DUI case evaluation whatever time of day or night you call – weekends and all holidays, too.